Boldly go where no branding has gone before. A stalwart component of the Labor philosophy is to work hard, play harder. Yup, that sounds cheesy, but it’s true. One obscure pursuit that we claim supremacy is in fishing talent. Hey big agencies you may be big, you may be bad, you may be expensive, but we can out fish you? For years when interviewing creative talent I always asked the question, do you fish? It was always enjoyable to hear prospective designers squirm when trying to wrap their heads around that odd question. They would typiclly formulate an answer that was constructed to say what they thought I wanted to hear. Often times stories relating to “fishing with my grandpa when I was a kid.” Our on the water skills were particularly useful in our Pure Fishing branding years before they got swallowed up by a monster conglomerate and evacuated my beloved Hawkeye state for a warmer climate. Which brings up another philosophical tenet. Not that Labor has studied the klingon language, but we are familiar with some of the general concepts behind Star Trek. Boldly go where no man has gone before, and in this case the new frontier is fishing. Often times our work isn’t the most glitzy or slick but we are always looking for opportunities to take quality design to places rarely touched by our profession. Sorry fishing, but there is only a small percentage of quality creative being done in your industry, and online fishing communities are no stranger this idea. 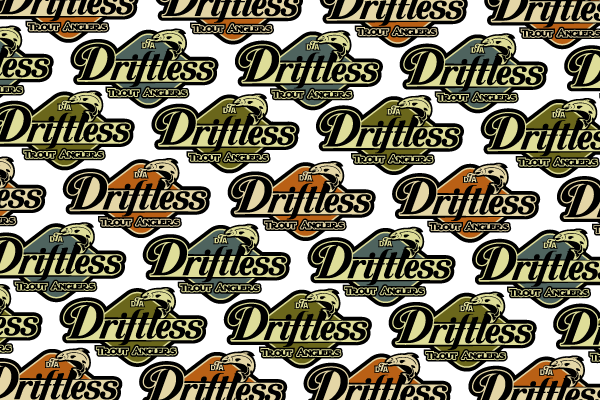 With that in mind we decided to help brand the foremost trout fishing community in the midwest’s famed Driftless area. Brad Pitt from A River Runs Through It need not apply. 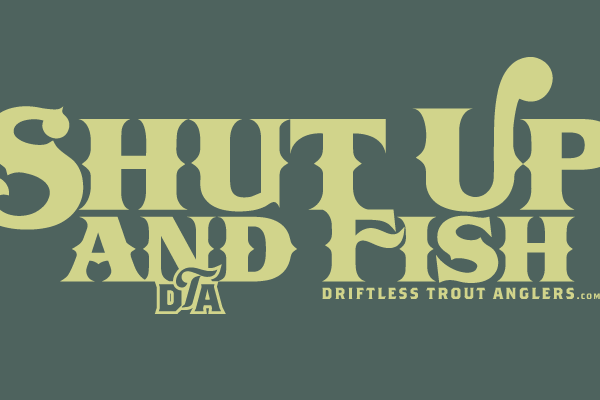 Typically there’s a Hatfield and McCoy style feud between many fly fisherman and old school worm dunkers, but this group simply shares a passion for pursuing the world class spring creeks of the midwest. Tight lines, folks.